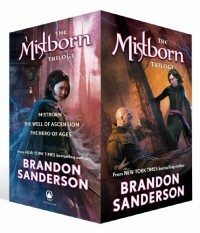 Sanderson kept up the excellent pacing and characterization present in his first two Mistborn books. He continues to overturn story arc tropes and examine intense theological questions. I found this book really enjoyable overall, though it did leave me with an undefinable sour taste in my mouth.I'm not really sure why. Maybe it's because I've never liked it when I feel like a religious lesson is being tucked into my fiction, like a pill in applesauce. Sanderson isn't heavy-handed about it, though. It's mainstream fiction, not Jack Weyland. He's not pulling a Left Behind here, with heavy-handed moral lessons shoe-horned awkwardly into a plot vehicle. Sanderson has more of a Harry Potter or Narnia vibe going on, where the religious undertones are secondary to the plot.The theological and religious debates are organic, a logical outgrowth of the plot and characters. And the conclusion is natural and makes sense in the world he presents. That being said -- I'm kind of conflicted on how atheism was presented. On one hand, Sanderson seems to think atheism is a really tragic, depressing state of mind. And I don't say this based on Sazid's depression as he struggles with his faith. I mean, when I lost my faith, it was a traumatic time -- that was a realistic depiction. It's a strange and terrifying transition to alter your mindset from finding meaning in the supernatural when that's all you've been taught to finding meaning in the here and now.No, I say this because Sanderson's world is a world without religion. A dying world, a world where a despotic ruler in a flawed attempt to rescue mankind plunged them into a 1,000 years of misery and turmoil. Almost all of Sanderson's main characters are casually atheist, and not in the way that atheists are in our society at this moment in time. Atheists right now, by and large, have been raised in a religious home or at a least a religious society, and they've done research and thought about it and come to the conclusion there is no god through work and self-reflection.The atheists in Sanderson's world are that way because a tyrant has set himself up as a false god and wiped out any other religion. They don't really seem to believe in this tyrant, but they don't believe in anything else, either. There world and surroundings are a direct representation of this spiritual wasteland, and at points in the series Sanderson mentions that art, science, learning, and beauty all died with religion -- his argument appears to be that a world without religion is a world without joy.On the other hand, they aren't without hope. They want a better world for themselves and their friends. They love, they hope, they dream. They build relationships. They create art, secretly. They strive for a better world. And in the end, I'm not really sure what Sanderson intended with this -- as an atheist, I felt he was trying to argue that religion is a necessary part of the human spirit, that god and spirituality will always be a part of us. But I also feel that's a fallacious and simplistic conclusion, and that his atheist characters were much like atheists in the real world -- focused on the strength and beauty of humanity, the potential of mankind.I mean, obviously it's a fantasy. And I loved how Sanderson addressed multiple religions and the birth of faith and a host of other theological situations. 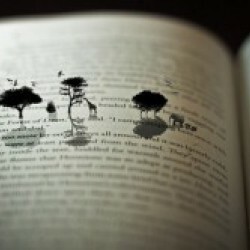 I really did like it, and it's really thought-provoking. But this is definitely a very ambiguous, adult-themed way of examining religion. There are no simplistic answers or obvious allegories promoting one religious mindset. These are actual questions people struggle with regarding religion and faith, wrapped in a fantasy novel.And although Sanderson's ending came down on the side of faith and belief, it felt . . . unconvincing. Honestly, I felt that character only found faith so that the ending could occur the way it did. Maybe I'm wrong, but it really felt forced at the very end there.That's why only 4 stars -- great read, all the way until the very end, which was still technically well written, but seemed to have lost the joy and curiosity that had driven the rest of the books. It felt depressing; pre-determined. A fixed, immovable point in time. Sad when it should have been triumphant; poignant when it should have been joyful.